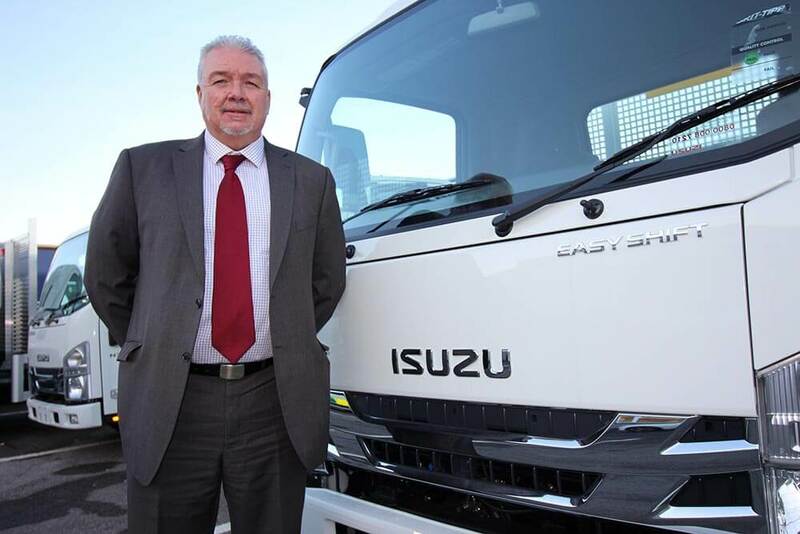 Derek Tansley, Managing Director of DT Trucks Ltd, the leading Isuzu Service & Parts Dealership in the UK. George Smith previously Dealer Principal of Isuzu North London, joined Derek in taking ownership of the new franchise. Specialising in commercial vehicles DT Trucks Hoddesdon offer unrivalled levels of service and expertise. Our modern state of the art workshops are manned by a team of experienced technicians offering a range of repair and maintenance services. Minimising downtime and keeping your trucks on the road is our number one priority.Our sales team can advise on the Isuzu range of vehicles from the well established 3.5 tonne GRAFTER which is available pre-bodied (dropside and tipper) or as a chassis cab. With the exception of the 7.5 tonne URBAN all vehicles above 3.5 tonnes are part of the FORWARD range with vehicles at 5.5, 6.5, 7.5, 11.00 and 12.00 tonnes. I am an Isuzu truck sales specialist and consultant covering London, Essex and Hertfordshire. With over 30 years’ experience in the commercial vehicle industry I help transport managers, fleet managers and business owners choose the right truck for their business and the right body for your vehicle, taking into account the load you carry and the number of deliveries you make each day. I can also help with O Licence procedures/issues and finding the best finance package for you, whether it’s a Hire Purchase, Lease Purchase, Operating Lease or Contract Hire agreement. An efficient parts delivery system drives our business. We carry a comprehensive range of both genuine Isuzu and all-makes parts. Our Isuzu parts first-time pick availability is typically over 95%. For any part that we do not carry in stock, provided you place your order with us before 6.00pm, 99% of the time we can guarantee to have it on our premises by 9.00am the next day. Furthermore we constantly monitor and adjust our stock levels to ensure we have the right parts for your needs. We carry a comprehensive stock of service items for the complete Isuzu range of vehicles. Make sure you have the chassis number of the truck and we’ll get your parts to you quickly. Our fully equipped, high technology workshop facility can cover all your servicing and general maintenance needs. We can service and repair your Isuzu truck or any other make of vehicle from LGV, tippers, rigids, trailers and tractor units. Our team of professional technicians are trained to the highest standards demanded by Isuzu Truck, assuring you of an efficient and high quality service every time. With Isuzu’s latest computer diagnostic equipment we can fully interrogate the vehicle and provide specialist expertise on engines, transmissions, steering, braking systems, suspension and electrics.